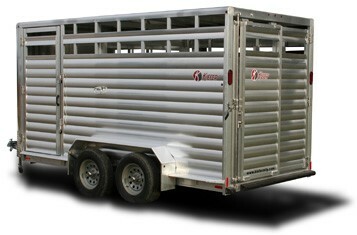 The Kruiser Livestock trailer is designed to be a light weight, exceptionally valued, high quality trailer. 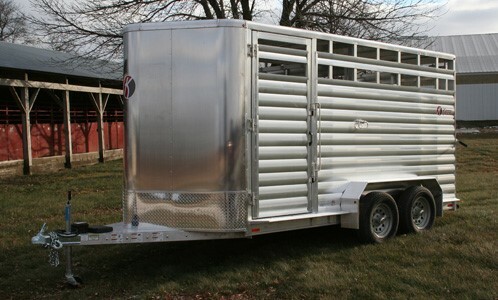 This trailer is equipped with slam latches on the full swing center gate with 1/2 slide and a rear slide gate with a cam latch to allow the user to close doors quickly and efficiently. Kruiser low-profile version is also available. Perfect for the small animal industry.